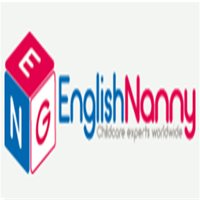 Details: Experienced and Qualified Governess/ Governor is needed for boy 6 years old in London The family needs governor or governess asap The boy goes to school He is very smart but he has problems with English. Agency is working with the family around 8 years from the time the family lived in Moscow. The family is very nice but at the same time demanding and do care a lot after the children (family has 4 children and now they are looking the governess to the youngest one). The candidate is to be flexible and easy going Duties: Developing english skills, do homework with the boy, make the boy intrested in education, control his education progress and prepare him to the exam 8+ which he passes next year. need help with concentrating, When on working duty the governess/governor is to do not only teaching duties but it will involve nanny duties as helping the boy , to prepare to school, control how he looks, did he brush teeth, does he wear a good clothes for the weather and etc. Location :Belgravia (London) Salary: 55000 + (gross a year) Schedule: 3,5 days on 3,5 days off . Travelling is involved. Accommodation: If it is rota schedule, sharing room with the boy during working shift, for days off the accommodation is not provided. Family has no separate room available for the moment, they possible will change a house next year but it is still discussed. Family does not provide an accommodation for days off.